Summary: Arfy is a stray looking for a home. He writes letters to a family, the butcher, the fire station, and even the junkyard guy. Each responds with a note telling him no. Disheartened, he heads for shelter in a cardboard box and falls asleep. When he awakens, there’s a letter taped to the box. 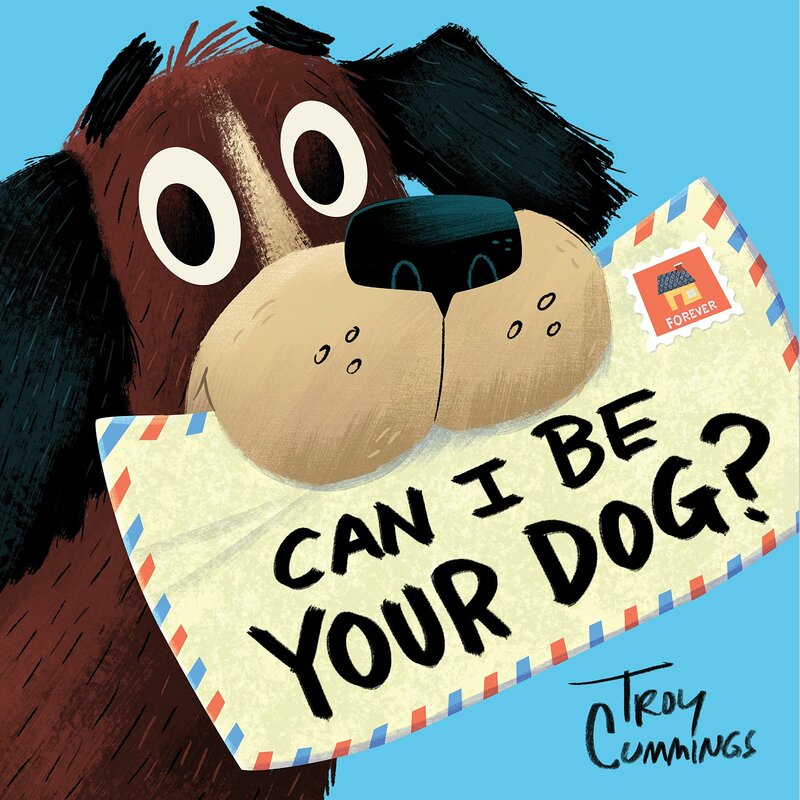 The mail carrier who delivered all his letters asks if she can be his person. She tells him to meet her in front of the big blue mailbox. 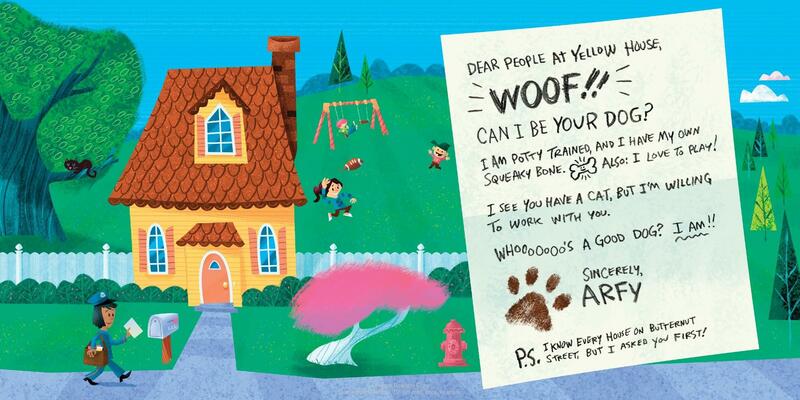 It looks like true love as the two meet, and Arfy gives her a note reading, “My tail has been wagging ever since I got your note.” Includes a list of ways kids can help homeless animals. 40 pages; ages 3-7. Pros: Who can resist adorable Arfy and his pleading letters for a home? Readers will cheer for Mitzy the mail carrier, and be eager to learn how they can help animals like Arfy. This would also make a good introduction to letter writing or persuasive writing. Cons: Mitzy may be violating federal law by reading Arfy’s letters. If you would like to buy this book on Amazon, click here.